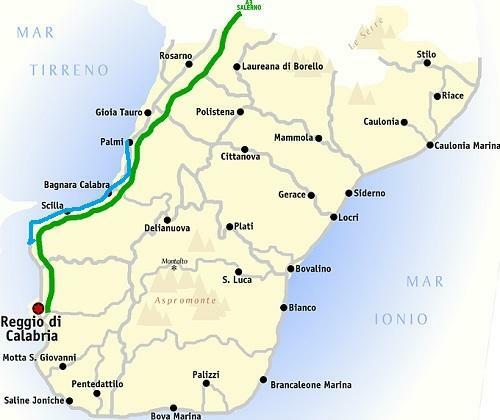 From Palmi to Villa San Giovanni Reggio di Calabria province. 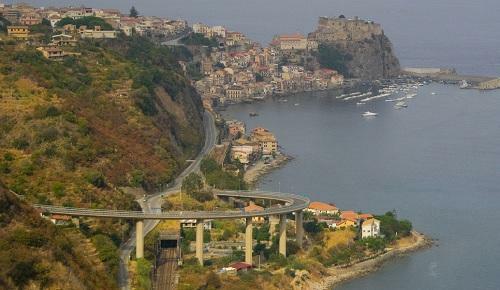 The "Little Paradise": so the writer Leonida Repaci called the stretch of coast from Palmi to Bagnara. In ancient times had already been called "Violet Coast" because of the color that water reflects during specific times of day. 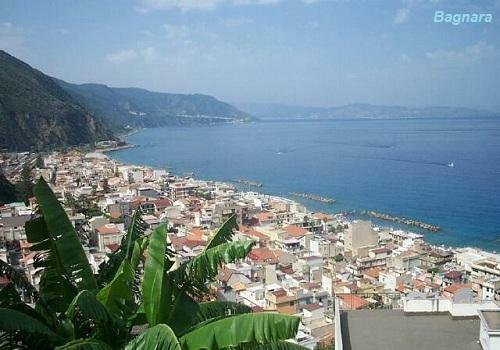 Palmi: Perched on a terrace sloping down to the sea and sheltered from the south hill of San'Elia, Palmi is considered to be a beach and mountain city. Besides the golden beaches of the Tonnara, Pietranera and Scina ', the extensive coastline of charming rock-strewn coves and stunning backdrops, has become a favorite destination for divers. The local Centro Immersioni also offer diving excursions to tourists wishing to get to know the wonderful depths of the Costa Viola. Palmi also offer visitor nature walks along ancient paths and breathtaking views. Places to see: The Taureana site with the paleo-christian crypt and the church of San Fantino, the first saint from Calabria. Nearby are the exciting caves of neolithic settlements of Monastico Bizantino di Tarditi. According to legends, immense treasures are buried in this area. 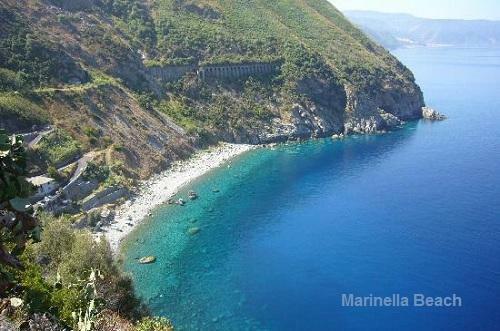 Bagnara Calabra is known for its beautiful beaches. 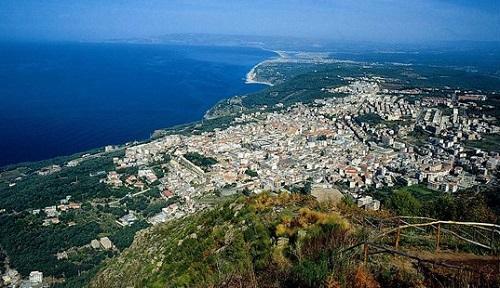 The hill Marturano bisects the long beach that stretches for over a kilometer, from the mountain "Cucuzzo" to tower Ruggiero. To the north of the port of Bagnara, the landscape is dominated by the projections and recesses of the mountains slopes. The area is beautiful and famous for its natural caves. The "Grotta del Monaco" (the monk's cave) and la "Grotta Rondini" (cave of the swallows) can be reached by boat in a sea that the reflections of the sun and rocks color of violet. Hence the name. 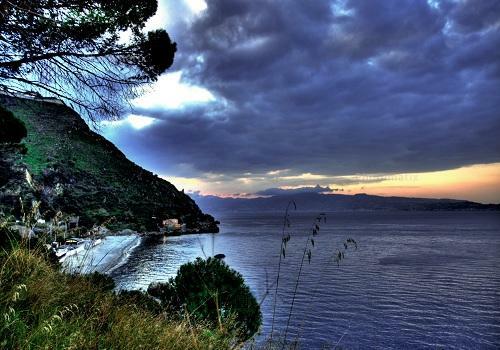 The haunting vision of the Straits of Messina, Stromboli and the Aeolian Islands are one of Italy's most beautiful views, as described by Edward Lear, in 1847. Below : View of Villa San Giovanni with the Port. 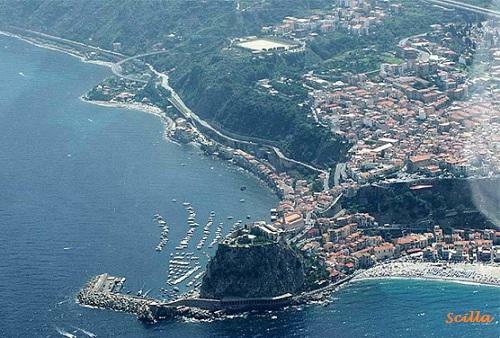 Scilla, the Pearl of the Costa Viola, made ​​famous by 'Homer's Odyssey ", is a delightful town, rich in history and maritime culture. Its territory extends up to the Aspromonte mountain appendices. In summer the 5000 inhabitants are joined by thousand of tourists. Local fishermen still fish the Sword Fish according to the old method of the Phoenicians.